Place a saucepan over medium-high heat, add plant-based milk and stir with a whisk until hot. Meanwhile, add hot water to your mug and stir in Amazing Grass Organic Supergreens Powder until dissolved. Stir in coconut sugar, mixing until dissolved. 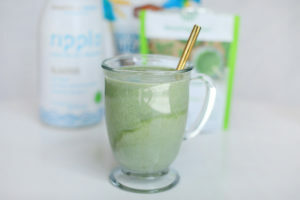 Once milk is hot, carefully pour into your mug with Supergreens Powder, and enjoy! 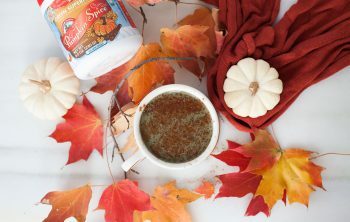 Sure, coffee will always hold a place in our heart, but there’s something about starting the day with a powerful supergreens latte that really makes you feel amazing! 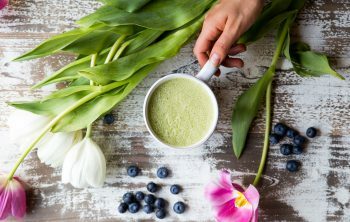 The best part is that making one these wellness lattes is easier than you may think – all you need is to scoop, stir and let the nutrient-dense combination of wheat grass, kale, moringa and spirulina in our Organic Supergreens Powder go to work.